Let us know your favorite colour & preferred shapes of dog toys in the comment-box when ordering! Your dog loves exploring nature and the world together with you? 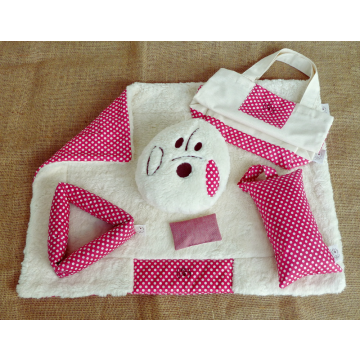 We have arranged this nice set, it is simply perfect for travelling with your dog! Your dog will surely love this Cuddly Face immediately! This little dog pillow can make your dog relax more easily on journeys and in stressful situations like driving in the car. Disclaimer: Cuddly faces are scented pillows and no toys. 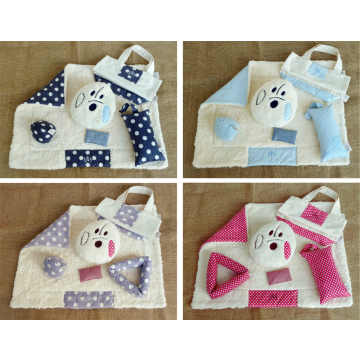 Why is Dog Filou's Organic Dog Blanket so special? 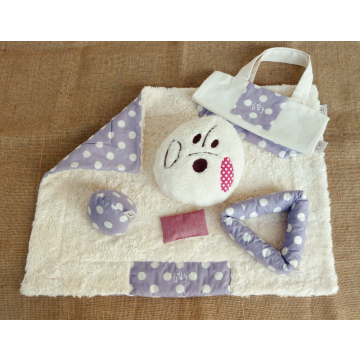 This dog blanket is made of 100% organic cotton plush and has a water-repellent side. Get more information about these Organic Dog Blankets.